U.S. Army veteran Chrissy first found out about Canine Companions for Independence at age 10 when her aunt was partnered with a Canine Companions® assistance dog to help with multiple sclerosis. 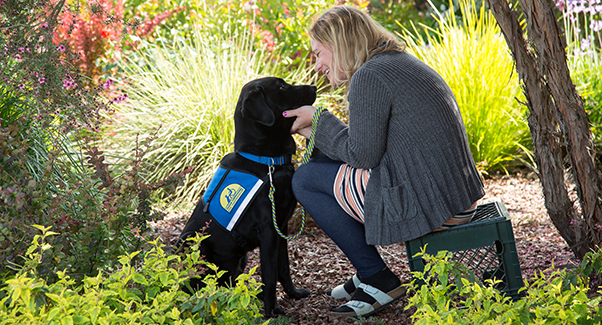 When Chrissy experienced a debilitating back injury while serving in the military, she knew she would turn to Canine Companions for her own assistance dog. But first she wanted to tackle the challenge of relearning how to walk. Click here to read Chrissy's journey back to independence. In honor of International Assistance Dog Week, learn more about how you can help stop service dog fraud. When untrained pets posing as service dogs behave badly, people who truly need assistance dogs can face added discrimination and lose access to public places. 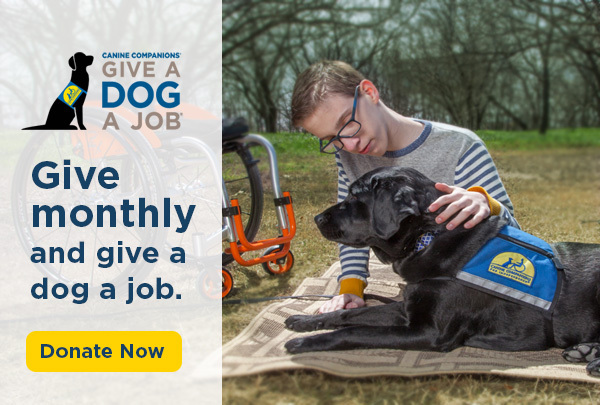 Help us choose which pup(s) will be featured on the cover of the 2019 Canine Companions puppy calendar. You can also pre-order your calendar and enjoy puppy cuteness all year long. Cast your vote by August 24! National Graduation Day is this Friday! Celebrate the beginning of a special partnership between a person with a disability and their new Canine Companions assistance dog. Join us in person at one of the six ceremonies around the country or online at cci.org/graduation. Have you met puppy Zari? Click here to keep up with her. Grab a leash and join the fun at DogFest! Don't ever miss #puppymonday again. Follow us on Facebook today!